CosWeek: When did you start cosplaying? Seviria: I made my first costume in October of 2014, but it was for a halloween costume and it didn’t require much work. So I would say I truly started cosplay at the end of December 2014 when I made my Snowstorm Sivir Cosplay from League of Legends. 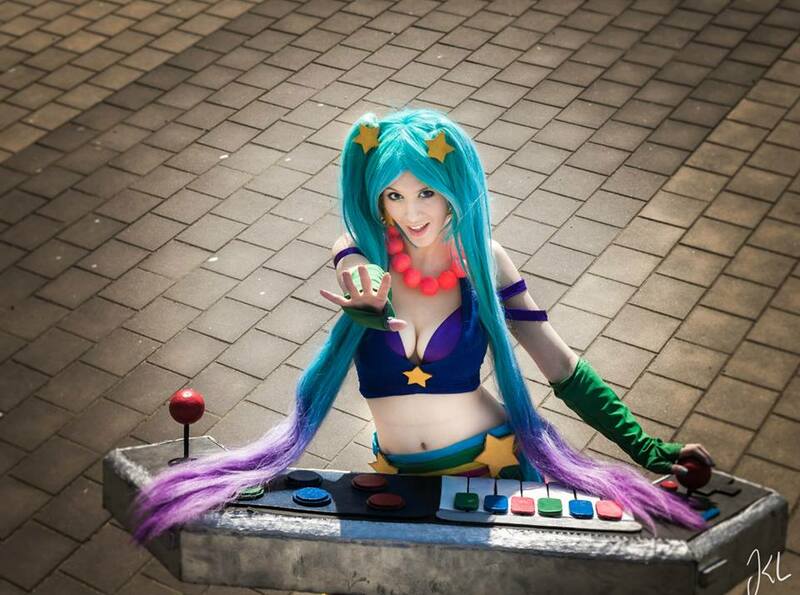 CosWeek: Why did you start Cosplaying? Seviria: I have always loved dressing up, and I have a passion for musical theatre. So getting into characters is one of my favourite things to do, cosplaying gave me the opportunity to really bring my favourite characters to life as well as learn more about crafting different weapons and armour! I have also learned how to sew since I started cosplaying which has been an interesting learning curve for me. CosWeek: Are you still involved in theatre? CosWeek: Do you make your own? Seviria: I make everything myself with the help of my boyfriend who also has a passion for creating weapons and armour! I occasionally buy a few things, like shoes for example then modify them. CosWeek: What are you reading right now? Seviria: Steven King, I love Steven King. CosWeek: What is the source of your cosplay name? Seviria: Well I am really horrible when it comes to names, so when I made my league of legends account I decided I was going to try and make myself a cool sounding name that wasn’t as lame as others I had made in the past. I ended up being not very creative and went with severea, which is just the word severe with an a on the end. I liked it because severe is a cool word, and the a made it sound more feminine. However spelt that way, people never pronounced it how I imagined it to be pronounced. So when I made my cosplay page I changed the spelling so it would sound much closer to how I wanted it, and so Seviria was born! CosWeek: What is your favorite source material to cosplay? Seviria: League of Legends so far! They have so many great characters and skins! However I also have started to make costumes from Anime especially one called Fairy Tail! I am currently working on an Erza cosplay. CosWeek: What is the last movie you saw? CosWeek: Do you constantly tweak and improve a costume, or do you move on the the next one? Seviria: I constantly tweak a costume till It looks how I desire it to be, but I also move forward to the next ones. My katarina cosplay for example I made in january, and since then have updated it three times and I’m finally happy with the finished product. Seviria: Tea, but not just any tea, Bubble tea! I live off of that stuff, so good. CosWeek: What excites you about Cosplay?